Arthur Miller was born on October 17, 1915, in New York City, the second of Isidore and Augusta Barnett Miller's three children. His father had come to the United States from Austria-Hungary and ran a small coat-manufacturing business. His mother, a native of New York, had been a public school teacher. Miller was only an average student. He was much more fond of playing sports than doing his schoolwork. Only after graduating from high school in 1932 did Miller think about becoming a writer, when he read Russian novelist Fyodor Dostoyevsky's (1821–1881) The Brothers Karamazov. Miller attended City College in New York for two weeks, then worked briefly with his father and in an autoparts warehouse to earn money to attend the University of Michigan. He enrolled there two years later, continuing to work as a dishwasher and as a night editor at a newspaper to help pay his expenses while he studied drama. He graduated in 1938, having won several awards for playwriting. Miller returned to New York City to a variety of jobs, including writing for the Federal Theater Project, a government-sponsored program that ended before any of his work could be produced. Because of an old football injury, he was rejected for military service, but he was hired to tour army camps to collect material for a movie, The Story of G. I. Joe. His notes from these tours were published as Situation Normal (1944). That same year the Broadway production of his play The Man Who Had All the Luck opened, closing after four performances. In 1945 his novel Focus, an attack on anti-Semitism (the hatred of Jewish people), appeared. Miller's career blossomed with the opening of All My Sons on Broadway in 1947. The play, a tragedy (a drama having a sad conclusion), won three prizes and fascinated audiences across the country. Then Death of a Salesman (1949) brought Miller the Pulitzer Prize for drama, international fame, and an estimated income of two million dollars. The words of its hero, Willy Loman, have been heard in at least seventeen languages as well as on movie screens everywhere. By the time of Miller's third Broadway play, The Crucible (1953), audiences were ready to accept his belief that "a poetic drama rooted in American speech and manners" was the only way to produce a tragedy out of the common man's life. The play was set in Salem, Massachusetts, in 1692, a time when many people were accused of being witches and were burned alive. Miller's play pointed out how similar those events were to Senator Joseph McCarthy's (1909–1957) investigations of anti-American activities during the early 1950s, which led to wild accusations against many public figures. Miller himself was called before the House Committee on Un-American Activities in June 1956 and was asked to give the names of guilty parties. He stated, "My conscience will not permit me to use the name of another person and bring trouble to him." He was convicted of contempt of (lack of respect for) Congress, but the conviction was reversed in 1958. Two of Miller's one-act plays, A View from the Bridge and A Memory of Two Mondays (1955), were social dramas focused on the inner life of working men; neither had the power of Death of a Salesman. Nor did his film script, The Misfits (1961). His next play, After the Fall (1964), was based on his own life. His second wife, actress Marilyn Monroe (1926–1962), was the model for one of the characters. Incident at Vichy (1965), a long, one-act play based on a true story set in France during World War II (1939–45; when Germany, Italy, and Japan battled France, Great Britain, the Soviet Union, and the United States), examined the nature of guilt and the depth of human hatred. In The Price (1968) Miller returned to domestic drama in his portrayal of a tight, intense struggle between two brothers, almost strangers to each other, brought together by their father's death. It is Miller at the height of his powers, cementing his position as a major American dramatist. But The Price proved to be Miller's last major Broadway success. His next work, The Creation of the World and Other Business, was a series of comic sketches first produced on Broadway in 1972. It closed after only twenty performances. All of Miller's works after that premiered outside of New York. Miller staged the musical Up From Paradise (1974) at the University of Michigan. Another play, The Archbishop's Ceiling, was presented in 1977 at the Kennedy Center in Washington, D.C. In the 1980s Miller produced a number of short pieces. The American Clock was based on Studs Terkel's (1912–) history of the Great Depression (a slump in the country's system of producing, distributing, and using goods and services that led to almost half of the industrial workers in the country losing their jobs during the 1930s). Elegy for a Lady and Some Kind of Story were two one-act plays that were staged together in 1982. Miller's Danger, Memory! was composed of the short pieces I Can't Remember Anything and Clara. All of these later plays have been regarded by critics as minor works. In the mid-1990s Miller adapted The Crucible for a film version starring Daniel Day-Lewis and Joan Allen. Despite the absence of any major successes since the mid-1960s, Miller seems secure in his reputation as a major figure in American drama. 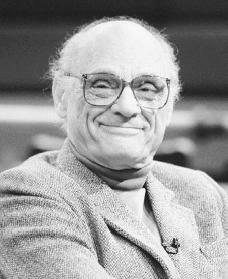 In addition to his Pulitzer Prize in 1949, his awards include the Theatre Guild National Prize, 1944; Antoinette Perry (Tony) Award (given for achievement in the theater), 1947 and 1953; Emmy Award (given for achievement in television broadcasting), 1967; George Foster Peabody Award, 1981; John F. Kennedy Award for Lifetime Achievement, 1984; Dorothy and Lillian Gish Prize, 1999; National Book Foundation lifetime achievement award, 2001; New York City College Alumni Association medal for artistic devotion to New York, 2001; and the Japan Art Association lifetime achievement award, 2001. Bigsby, C. W. E. A Critical Introduction to Twentieth-Century American Drama. New York: Cambridge University Press, 1982. Glassman, Bruce. Arthur Miller. Englewood Cliffs, NJ: Silver Burdett Press, 1990. Miller, Arthur. Timebends: A Life. New York: Grove Press, 1987. Reprint, New York: Penguin Books, 1995. Schlueter, June, and James K. Flanagan. Arthur Miller. New York: Ungar, 1987. A good biography, but those convicted of witchcraft in Salem MA were hung not burned.